Love plants, want to trade notes with others who love plants and want to learn more or share some tips. Figaro’s Garden Centre is hosting an informal Plant Club With Wine the first Friday of the month. Stop by between 3:30 and 5:30 pm to chat on all things growing. Every Friday evening in July and August, the Italian Cultural Centre hosts free live outdoor music in the piazza. Event happens from 7:00 pm to 10:00 pm. You are welcome to stop by and enjoy the music, it’s free. If you get hungry, there’s pasta, sausages, gelato and lots of refreshments available to purchase. Should it rain, the event moves indoors. Federico’s Supper Club has a special night of ABBA music lined up this Friday with the tribute band, ABRA Cadabra. These events often sell out, but if you are lucky to find a spot, it’s a fun night of great food, great service along with music and dancing. Visit Federico’s Supper Club for more info. Les amis du fromage’s East Van location at 843 East Hastings Street is hosting another Bakery Pop Up this Saturday, August 4th. Guest Baker will be Lauren Ritchie with delish fresh loaves of bread from 11:00 am to 5:00 pm or until they sell out. If you love blues music, Rio Theatre is the place to be Saturday night. The Wallin’ Walker Band and David ‘Boxcar’ Gates will be performing. Tickets are $25 in advance or $30 at the door. Advance tickets available at Rio Theatre. This weekend Beta 5 Chocolates invites you down for a Journey. It’s a sundae featuring strawberry rose sorbet and Lychee rose sorbet, vanilla Chantilly, raspberry sauce, vanilla diamond cookies, elderflower jello, summer berry salad and edible flowers. Stop by 413 Industrial Avenue 1:00 to 5:00 pm for this sweet treat. Don’t forget they now having something for our 4 legged friends as well. The Powell Street Festival Canada’s largest celebration of Japanese arts and culture happens Saturday and Sunday from 11:30 a.m. to 7:00 pm in and around Oppenheimer Park. Lots of things to see and do for all ages. Take in the opportunity to see some amazing large scale public murals this holiday Monday. Vancouver Mural Festival has a great map setting out the locations of the murals. Best part, it’s free to wander and check out all art. Lots of great coffee shop, ice cream spots and breweries in the area should you need to refresh along your route. This long weekend Monday, the ladies from The Pie Shoppe are collaborating with Chef David Jackman to host a Spent Grain Dinner. The menu includes Barley, Wheat, Rye and Malt from neighbour brewers and distillers in the East Van community. There will also be a short presentation on Spent Grain and Wasted Food led by one of the brew masters. There are 2 seatings for this dinner Monday, first up 5:30 pm to 8:00 pm, then 8:30 pm to 11:00 pm. Tickets are $75.00 and available online from The Pie Shoppe. If you are looking to escape to the movies this long weekend, The Rio Theatre is hosting The Goonies on Friday night for their late night movie at 11:30 pm. Looking to take in some comedy, East Van Improv League is at Havana Theatre Sunday night at 7:30 pm and Graham Clark’s Laugh Gallery is Monday night at Havana Theatre 9 pm. If you are looking to keep the kids entertained, big or small, Playland is now open daily from 10 am – 7 pm. Three Farmer Markets happening this weekend – Saturday it’s Riley Park (10 am – 2 pm) and Trout Lake (9 am – 2 pm) and Sunday, Mount Pleasant Farmers Market in Dude Chilling Park from 10 am – 2 pm. To see more of what’s on in East Vancouver, check our Event Listing. Les amis du fromage is hosting another Bakery Pop Up Shop at their East Van location, 843 East Hastings Street this Saturday, June 9th. This week Lauren Ritchie will be selling handmade loaves of bread from Noon to 5:00 pm or until she runs out. Mid-Main Art Fair happens at the Heritage Hall this Sunday, June 10th. 17 artists will be showcasing their work which will be available for sale. Expect to find paintings, sculptures, photography and printmaking. Event happens from 11 am to 6 pm. Free admission. One big street party happens this Sunday, June 10th featuring all things Italian and much more. Commercial Drive from Broadway to Venables will be closed to vehicle traffic so you can wander the stretch and find an array of businesses offering great eats, good deals or just plain fun. There will be displays, booths and live music along this stretch. This year’s theme is music. Fun gets under way at Noon and goes till 8:00 pm. Whether your favourite is Dorothy, the Tin Man or The Scarecrow, check out the classic movie, The Wizard of Oz, at the Rio Theatre for free this Sunday, June 10th. Doors open at 12:30 pm, movie begins at 1:00 pm. The Retro Design & Antiques Fair is back this Sunday at the Croatian Cultural Centre from 10 am – 3 pm. There will be some 185 tables featuring eclectic, vintage, collectables, kitschy. It’s all over the map. Admission is $5, save for early bird (prior 10:00 am which is $20). Children under 13 are free with an adult. Beta 5 Chocolates is back to hosting their Ice Cream Socials on the weekends which means a decadently creative dish offered each week they choose to host their socials. This weekend’s feature is Mango Bubble Tea with mango sorbet, milk tea ice cream, mango compote, tapioca pearls, condensed milk, Chantilly and Hokkaido milk bread. 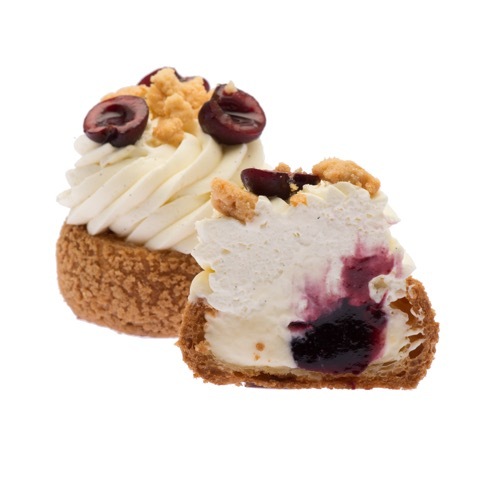 This treat available Saturday and Sunday from 1:00 pm to 5:00 pm or until they sell out. Looking for comedy? Local comedian, Graham Clark, hosts his Laugh Gallery event Monday at Havana Theatre 9 pm. Three farmer markets are happening this weekend. Saturday it’s Riley Park (10 am – 2 pm) and Trout Lake (9 am – 2 pm) and Sunday, Mount Pleasant Farmers Market is back at Dude Chilling Park from 10:00 am till 2:00 pm. For theatre, Diary of Ann Frank continues at Havana Theatre and C’mon Angie is on till Saturday at the Firehall Arts Theatre which touches on the issue of consent after a one night stand. To see more of what’s on in East Vancouver, check our Event Listing. Playland kicks off an adult only evening from 7:00 pm to midnight this Friday, July 7th. This new kids free zone is complete with beer, wine, special cocktails including Candy Floss Martinis and Snow Cone Vodka and of course the midway games and 25 rides. Advance admission is $26, tickets at the gate are $29. If you miss this Friday, it’s happening every Friday in July. If you love the movie Grease and the songs, you will want to stop in at the Rio Theatre Friday night. They will be showing the original movie and hosting a sing-a-long. Costumes welcome and encouraged. Movie kicks off at 7:30 pm. Advance tickets are available at Rio Theatre. Ice Cream Social is back at Beta 5 Chocolates this Saturday from 1:00 – 5:00 pm. If you love chocolate chip mint ice cream, you will want to check out their sundae special. Strange Fellows Brewing is inviting you to come down for a beer on your bike, or with your bike. While enjoying your beer, you can have your bike tuned up for free by R.A.D. Cycles. Event happens Sunday, July 9th from 1:00 – 4:00 pm. If you didn’t know, Strange Fellows Brewing regularly plays host to artists and showcases their work. They have a little gallery with its own Twitter feed, the Charles Clark. On July 12th, they will be hosting a reception for artist Marni Harris from 7:00 to 9:00 pm. Everyone is welcome to attend. Looking for fun and games? Playland is open from 10:00 am to 6:00 pm this weekend. If you are looking for some family entertainment, the Rio Theatre is showing some classic movies. First up is Wizard of Oz at 5:30 pm on Saturday, or you prefer Batman, the original movie is being shown this Sunday at 6:30 pm. Looking to check out some music? Local talent, Yaa-Hemaa is at Café Deux Soleils this Friday at 9:00 pm featuring jazz, soul and R&B. Have a great weekend! 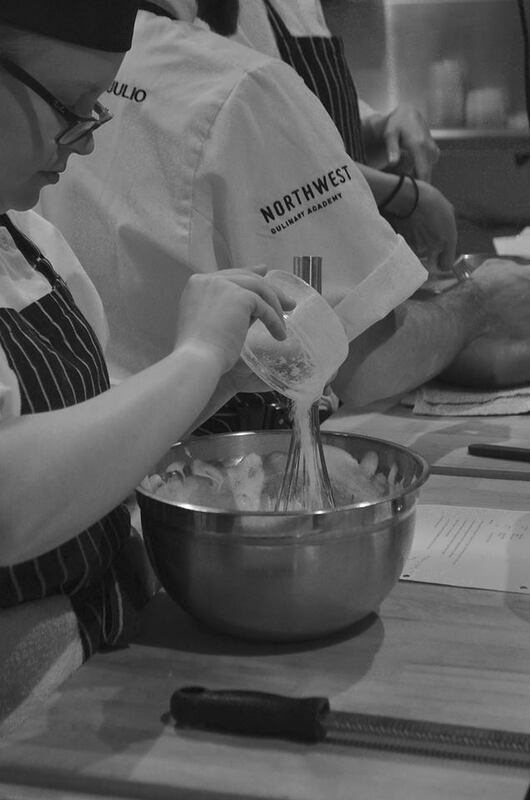 The Northwest Culinary Academy believes that “The Northwest region is the frontier of innovation because it dares to go against the grain.” And they think that “Vancouver boasts a vibrant food scene”. Well we’d have to agree with them on both of those sentiments. Whether you like to cook food, eat or want to learn more about cooking and/or baking, you may wish to check out the Northwest Culinary Academy located at 2725 Main Street (at 12th Avenue). They have courses for every skill level, whether you are seeking a career in a professional kitchen, a culinary or pastry education, boot camps or just tweaking those home cooking skills. Northwest has a variety of programs available including Summer Camps for the serious foodie. The school has been around since 2004 and was created by two experienced chef instructors, Tony Minichiello and Christophe Kwiatkowsky, and has evolved and grown over the years. Some of their graduates include the likes of Adam Chandler who founded Beta-5 Chocolates now winning awards with their chocolates and Taryn Wa who opened Savoury Chef a full service event catering company. You are invited to take one class individually or take all four classes at 10% off. For these classes, you are asked to bring a chef’s knife, pairing knife, bench scraper, kitchen scissors, vegetable peeler, kitchen safe shoes, tea towels and an apron. To register, you are invited to call 604.876.7653. If you prefer, they also do private cooking parties and team building events. 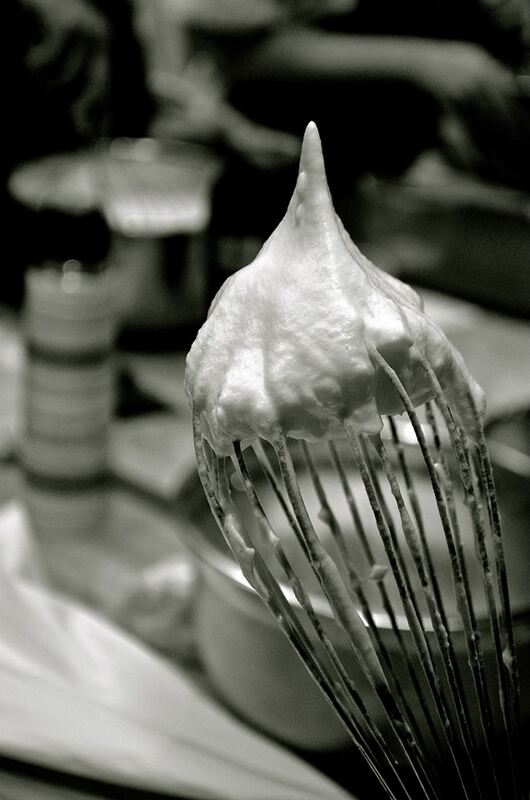 For more details on all their courses, we invite you to visit Northwest Culinary Academy. Are you looking to stay cool this summer? Well we have some sweet options for you to check out that might help with that. 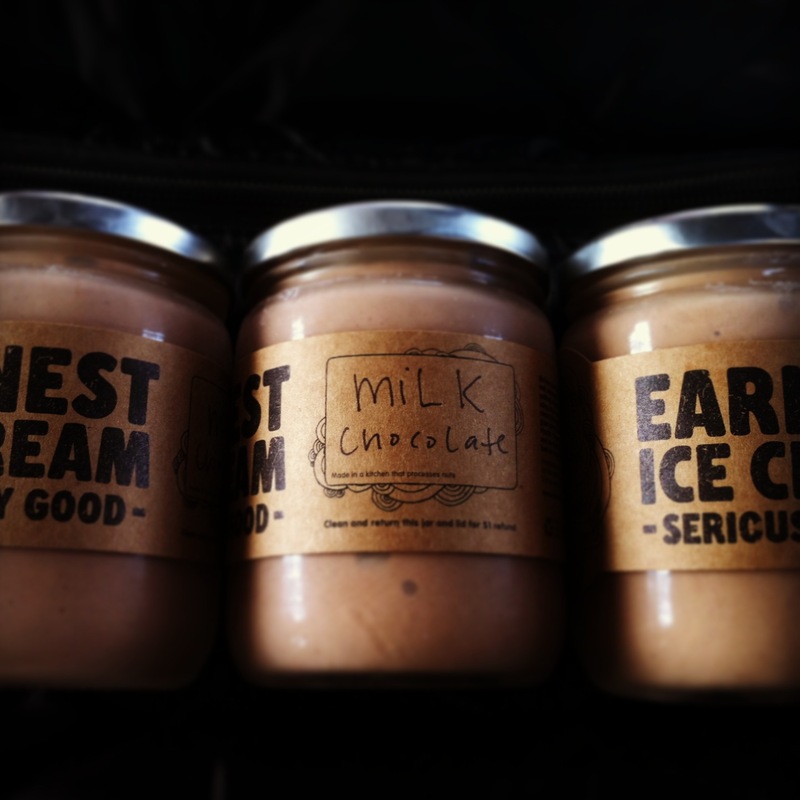 It will come as no surprise to anyone that follows us, that we are big fans of Earnest Ice Cream. The overall concept and the flavours, really what’s not to love it. Although Whiskey Hazelnut was the first flavor we were introduced to, their Salted Caramel is a go to for those wanting an indulgence. Tied for third is their seasonal Fresh Lemon which is the perfect balance of sweet and tart. To help beat the heat, Earnest Ice Cream has two locations to serve you. Their original location at 3992 Fraser Street is now open 7 days a week from 10:00 am to 10:00 pm and their new location at 1829 Quebec Street is open from 8:00 am to 11:00 pm. If you want to know what flavours they have on offer, check out there totally revamped website which sets out what’s available at each location. Beta 5 Chocolates has been making quite a name for itself with some of its award winning chocolates. 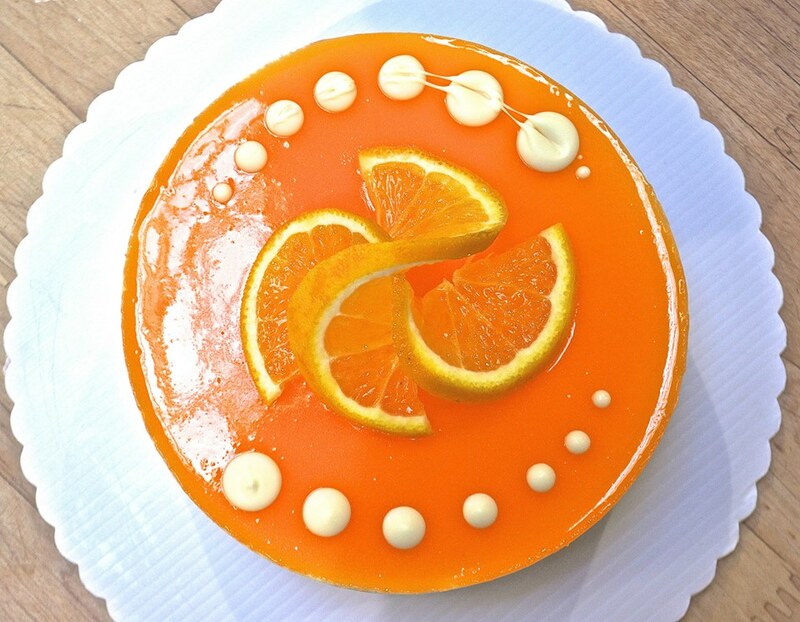 They also make some other very amazing sweet treats. For the summer months of July and August, Beta 5 Chocolates is holding Ice Cream Socials on Fridays from 5:00 pm to 9:00 pm and Saturdays from 1:00 pm to 5:00 pm. At these socials, are serving up scoops of ice cream and sorbets in cream puff shells as well as sundaes. 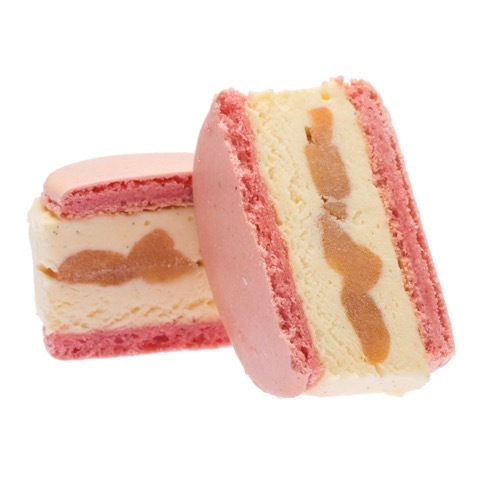 Also on hand will be their line of up of ice cream sandwiches which we hear are also available every day Tuesday to Sunday. While there, ask them about their FREE Feed the Bees Seed Packet. They are offering these up to customers to scatter bee-friendly wildflower seeds to help our local pollinators. La Casa Gelato is a right of passage if you grew up in East Vancouver. We love this place and who wouldn’t. La Casa Gelato started out with 40 flavours many years ago and now boasts over 500 flavours. You will find gelato, sorbetto and frozen yogurt inside La Casa Gelato and whether you want non-fat, non-dairy, low-fat or sugar-free, there are oh so many choices that include 218 flavours on site always. There truly is something for every taste and if you want to be adventurous there are many options. There is almost always a crowd, but lots of staff to serve you, tasters available and you will find lots of people gathering outside and across the street enjoying their gelato. La Casa Gelato is located at 1033 Venables Street (at Glen Drive) and open 7 days a week from 11:00 am to 11:00 pm.